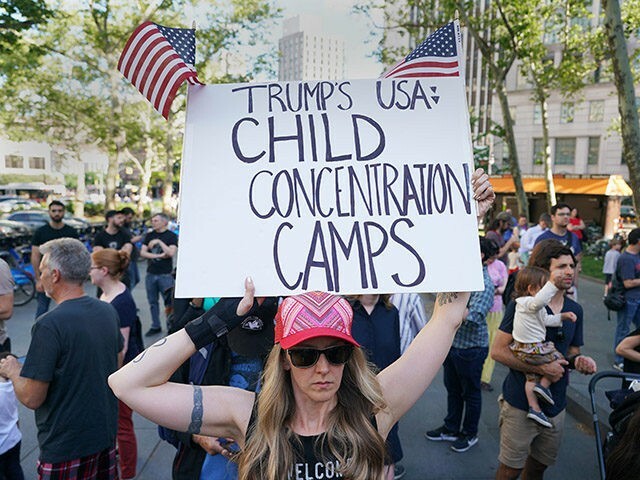 A left-wing super PAC held a demonstration outside the Trump International Hotel in Washington, D.C., blaring audio of purported migrant children crying. American Bridge announced Tuesday it was protesting a fundraising event at the hotel in response to the Trump administration’s immigration policies. An audio recording that appears to capture the voices of Spanish-speaking children crying out for their parents at a U.S. immigration facility took center stage this week in the growing uproar over the Trump administration’s policy of separating immigrant children from their parents. “Papa! Papa!” one child is heard weeping in the audio file that was first reported by the nonprofit ProPublica. President Trump on Monday vowed America would not become a “migrant camp,” while simultaneously accusing Democrats of provoking the current crisis by blocking legislation to combat illegal immigration. The Associated Press and the Agence France-Presse contributed to this report.